The best Jeeps were the first Willys. The starter and battery were mounted up high in the engine compartment. Great for deep water. Very simple to work on and even today they'll go anywhere. 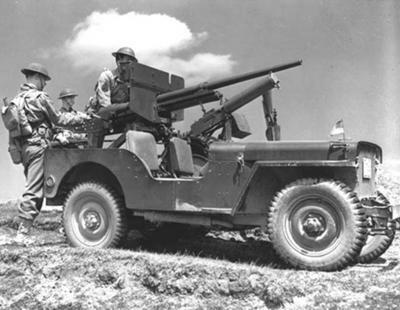 The original Jeeps were made to deal with what life throws at you, and include a gun mount for a 50 cal. for those bad days. My next pick would be the Rubicon Wrangler. Locking diffs. and 4 to 1 4-lo. The third pick would be WJ Grand Cherokee. The "Grands" are great for a weekend outing into woods with the family and gear...or, if you're towing oh say a 7000 lb. boat. Then the 1993 Grand Wagoneer ZJ's and XJ's all are currently pretty cheap rides but will get the job done. The quad springs under the 93 Grand Wagoneers and ZJ's made for some awesome 4x4's. The new WK with the I.F.S. ain't a cheap lift and the factory cv joints aren't as durable as I'd like to say they are. After only a couple of Michigan winters those cv joints are clicking and clanking.